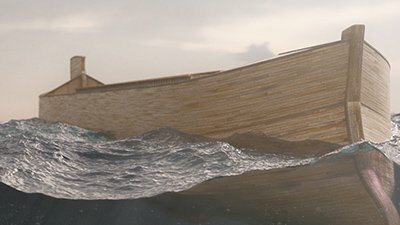 If the waters of the Flood covered the highest mountains, does that mean the Ark’s inhabitants needed oxygen supplies? It sounds like a straightforward argument, doesn’t it? But did you notice that I emphasized the word today? In light of this, the solution is quite simple: the Flood did not happen on today’s earth, but rather on the earth of nearly 4,300 years ago (according to Ussher). The world today is not the same as it was before the Flood, or even during the Flood. For instance, if the mountains, continents, and oceans basins of today’s earth were more leveled out (as would be expected in a global Flood), the planet’s surface water alone would cover the earth an estimated 1.66 miles deep—about 8,000 feet. Yet when I visited Cusco, Peru, which is around 11,000 feet above sea level, I didn’t need an oxygen tank. Furthermore, atmospheric air pressure is relative to sea level. So as rising sea levels pushed the air column higher, the air pressure at sea level would stay the same. Psalm 104:6–9: Creation or the Flood? This section of the psalm is obviously speaking of the Flood, as water would no longer return to cover the earth—if this passage were speaking of Creation Week (as some commentators have stated), then God would have erred when the waters covered the whole earth during the Flood. It makes sense that, because the Psalm is referring to the earth and what is in it, it begins with earth history (Creation Week). 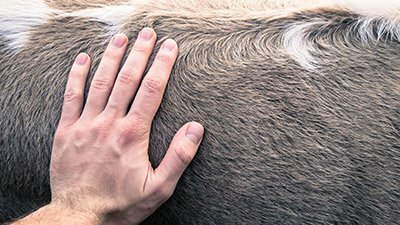 But mentions of donkeys (verse 11) and goats (verse 18) show variation within the created kind, which shows this would have taken place after the Flood. Also, a post-Flood geographic location is named (Lebanon, verse 16) as well as ships (verse 26) that indicate this psalm was not entirely a look at Creation Week. In fact, a variety of translations yield some variant of one of these two possibilities. Obviously, there is no consensus on translation among these English versions. Looking at other languages, we see how the Hebrew was translated. Take note that there are no prepositions like “over” or “into.” It is literally “up go mountains, down go valleys.” It makes sense why many translations, including non-English translations, use the phrase “mountains rose and the valleys sank down”—this is what it should be. Why would commentators miss this? Commentaries could easily misinterpret this passage if they were based on translations that agree with “they went up over the mountains and went down into the valleys.” For example, the most popular English translation for several hundred years, the King James Version, reads this way. That they turn not again to cover the earth; as they did when it was first made, # Ps 104:6 that is, not without the divine leave and power; for they did turn again and cover the earth, at the time of the flood; but never shall more. Gill was forced to conclude that the waters did return to cover the earth, and he justified their return on “divine leave and power”! Yet this would mean that God breaks promises. Because we know that God does not break promises, this must be referring to the end of the Flood. That said, we should understand the difficulty in commenting on the passage: it is a psalm of praise to God, and thus it is not as straightforward as literal history. It is difficult to determine where the shift from Creation to the Flood occurs and where the shift from Flood to post-Flood occurs. However, there are a few more hints in the text. We should use clear passages in Scripture to help interpret unclear passages. Therefore, during Creation Week when everything was good, there would be no need for any rebuking. If Psalm 104:6–9 were referring to Creation Week (specifically Day 3), then why the rebuke in Psalm 104:7 ? This implies an imperfect, not very good creation. But if Psalm 104:6–9 is referring to the Flood, then of course a rebuke would exist in a fallen world where the judgment of water had overtaken the earth. Additionally, note that Psalm 104:9 is clearly referencing Genesis 9:8–16 in saying that the waters would not return to cover the earth. Lastly, note that when the land appeared in Genesis 1 on Day 3, the land that was being separated from the water was dry, not wet. The text in Genesis says that the waters were gathered into one place and then the dry land appeared. It says nothing of water flowing over the land to make it wet; otherwise, wet land would have appeared and then became dry. But during the Flood, the land was indeed overtaken by water that eventually stood above the land. The Hebrew phrase in Psalm 104:8a is the basis for the correct translation of mountains rising and valleys sinking. This shows that mountains and valleys during the Flood were not the same height as they are today. Even today mountains and valleys are changing their height; volcanic mountains, for instance, can grow very quickly, such as Surtsey or Paricutin (a volcanic mountain in Mexico that formed in 1943). 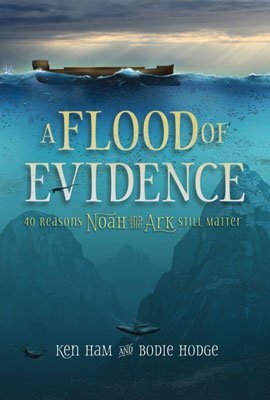 Therefore, with mountains and continents leveled out and oceans basin nowhere near the depth they are today, it makes perfect sense that Noah was not at the height of modern-day Mt. Everest. 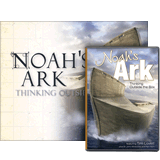 Noah and those aboard the Ark would not have required oxygen. For cubit studies and lengths see: How Long Was the Original Cubit? 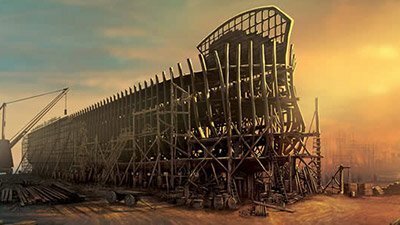 (for laymen) and A More Likely Cubit for Noah's Ark? (semi-technical). Data was taken from two sources: (1) Charles Taylor, Did mountains really rise according to Psalm 104:8? TJ 12(3), 1998, 312–313, and (2) Looked up individually on Online Bible, Larry Pierce, February, 2009, or looked up separately. It was due to man’s sin that the world is now imperfect and fallen.